Japanese e-commerce firm Rakuten has appointed Infibeam co-founder Sachin Dalal to head its India operations while BookMyShow is in talks to raise $75 million from US-based equity growth fund Stripes Group. Here's a quick round-up of startup and technology stories today. Rakuten hires Infibeam's Sachin Dalal for India foray Infibeam co-founder Sachin Dalal is set to head Japanese e-commerce behemoth Rakuten's entry into India, The Economic Times reported. Dalal joined the firm early this month, the report said. The firm's foray into India comes at a time when it is exiting global markets such as the UK, Austria and Spain due to dwindling prospects. Rakuten is likely to start its marketplace operations next year, the report said. It added that the company began poaching executives from Flipkart and Amazon in April for its marketplace, having already set up a development centre in Bangalore in 2014. BookMyShow in talks to raise $75 mn from US-based Stripes Group BookMyShow.com, operated by Bigtree Entertainment Pvt. Ltd, is in advanced stages of talks to raise $75 million, according to a report by Mint. The round will be led by US-based growth equity fund Stripes Group, which will likely commit between $40 million and $50 million. Existing investors SAIF Partners, Accel Partners and Network18 Media will also participate in the round. BookMyShow has been in talks to raise funds for the past two-three months, the report said. DIPP finalising details of national Startup Fest in August The Department of Industrial Policy and Promotion (DIPP) is finalising a national startup event, Startup Fest, which is likely to be held in Hyderbad in August, according to a report by The Economic Times. About 10,000 startups will be invited for the event, where they will be provided a platform to pair up with venture capital funds and angel investors. The event will focus on sectors such as health, education, manufacturing and agriculture. Issues such as funding and mentoring will be part of the main agenda, the report said. Paytm to use Infosys' Finacle software for payments bank One97 Communications Pvt Ltd, which runs digital wallet and e-commerce platform Paytm, will use Finacle, a flagship banking product of Infosys subsidiary EdgeVerve Systems, for its payments bank business, Business Standard reported. 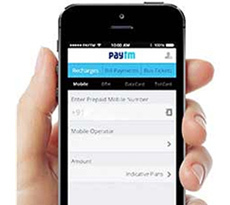 The product will help Paytm integrate its payments bank services and wallet business at a reduced cost, the report said.